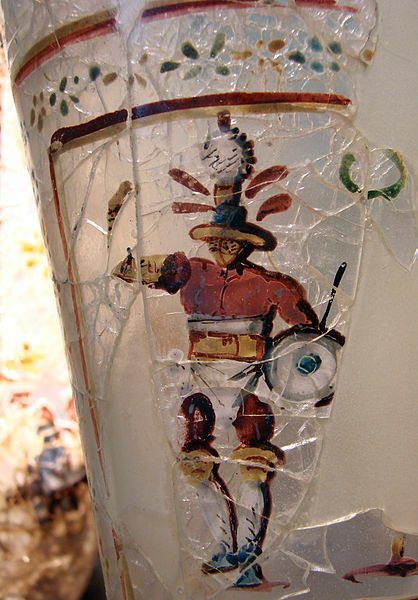 T he earliest man-made glass was first produced over 2000 years before the Roman Empire. Core formed and cast glass was produced, although in small quantities in ancient Egypt and Mesopotamia. It was often made to imitate semi-precious stones like lapis lazuli and turquoise. 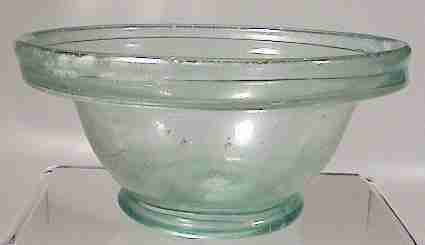 Glass vessels were initially available only to the very wealthy and only in rather diminutive sizes. 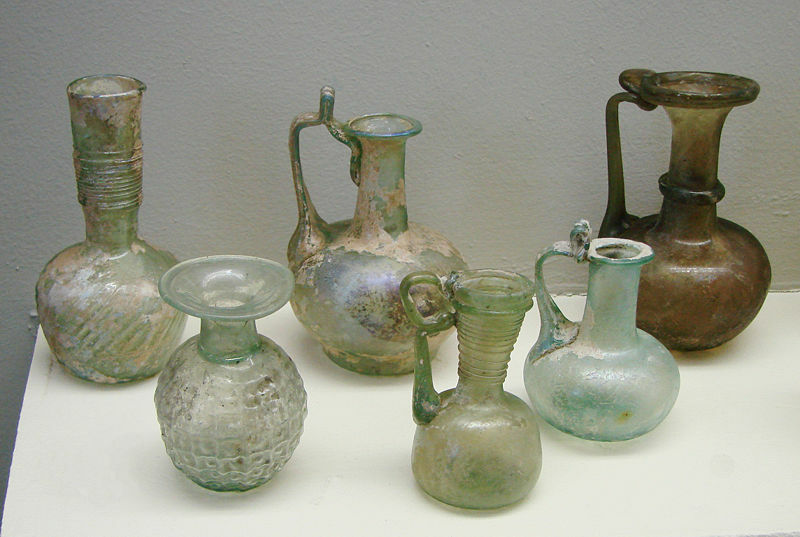 They were manufactured by core forming, casting, cutting and grinding, The invention of glass blowing around 50 BC brought glass vessels to the general public in vast numbers, mass produced in great variety of forms and hence brought ancient glass into the reach of the modern collector of even modest means. 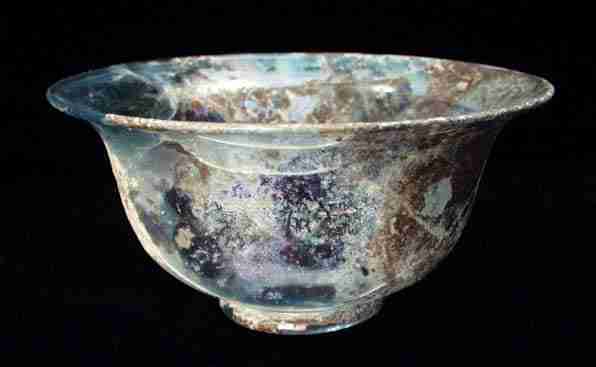 One can nowadays own a Roman glass bowl, or drink from a Roman glass beaker, or wear ancient jewellery where glass was used widely. 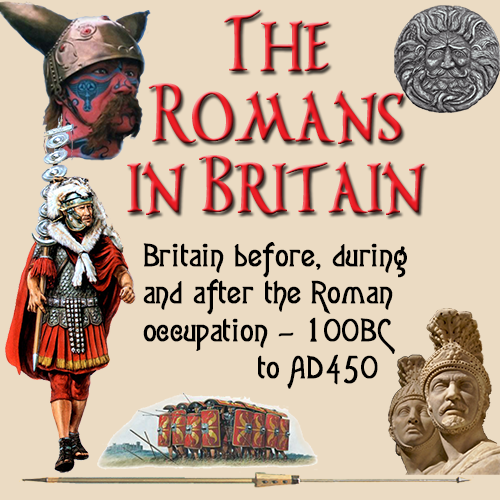 In 63 BC, the Romans conquered the Syro-Palestine area. They brought back glassmakers to Rome. Soon after, the first transparent glass sheets were produced in Rome. The word vitrum, meaning glass, entered the Latin language.Rome's political, military, and economic dominanace in the Mediterranean world was a major factor in attracting skilled craftsmen to set up workshops in the city, but equally important was the fact that the establishment of the Roman industry roughly coincided with the invention of glassblowing. The new technique led craftsmen to create novel and unique shapes; examples exist of flasks and bottles shaped like foot sandals, wine barrels, fruits, and even helmets and animals. Some combined blowing with glass-casting and pottery-molding technologies to create the so-called mold-blowing process. Further innovations and stylistic changes saw the continued use of casting and free-blowing to create a variety of open and closed forms that could then be engraved or facet-cut in any number of patterns and designs.